Stacey's Dental Laboratory is the business of Bradley Stacey, a qualified Prosthetist and Technician, who assesses, manufactures, fits and repairs natural look dentures for all age groups. Services include the manufacture and fitting of custom mouthguards, in your choice of colours, for all sports, as well as nightguards for the protection of natural teeth. Same day repairs for broken dentures or addition of teeth to existing dentures are also possible after extractions and can even be co-ordinated with your dentist to be ready for immediate insertion on extraction. 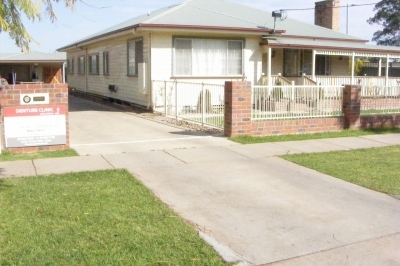 Please note Swan Hill Clinic is not open when Charlton Clinic open. Please leave phone or email message for same day repairs and all bookings for both Clinics. Stacey's Denture Clinic is registered with a number of different options that may apply to you. We accept Private Health Providers, Department of Veterans Affairs (DVA), Transport Accident Commission (TAC) and Victorian Denture Scheme (VDS) patients. If you are eligible under these, or any other funding body, please mention it when booking your appointment. Do I need a full denture or a partial denture? A full denture means you no longer have any teeth on your upper or lower jaw, or both. A partial denture means you still have some of your natural teeth and the new denture will fill the gaps where teeth are missing. A full denture will have an acrylic base designed to a natural finish with good quality teeth in a tone which matches your complexion and stage of life. A partial denture can be manufactured with either an acrylic base or cobalt chrome framework. The chrome framework, while costing more, is less obtrusive in your mouth and is thinner than acrylic, while being stronger. The acrylic base partial denture usually will have stainless steel clasps which are formed around your natural teeth to aid in maintaining a firm fitting denture. Partial dentures; whether acrylic or chrome base, can be manufactured to allow for the addition of teeth when the need arises from further extractions. My Denture doesn't fit properly anymore, do I need a new one? The simple answer is, there's only one way to be sure; come in and get it assessed! Many patients aren't aware, or don't remember being advised that their existing denture should be relined after 5 years. 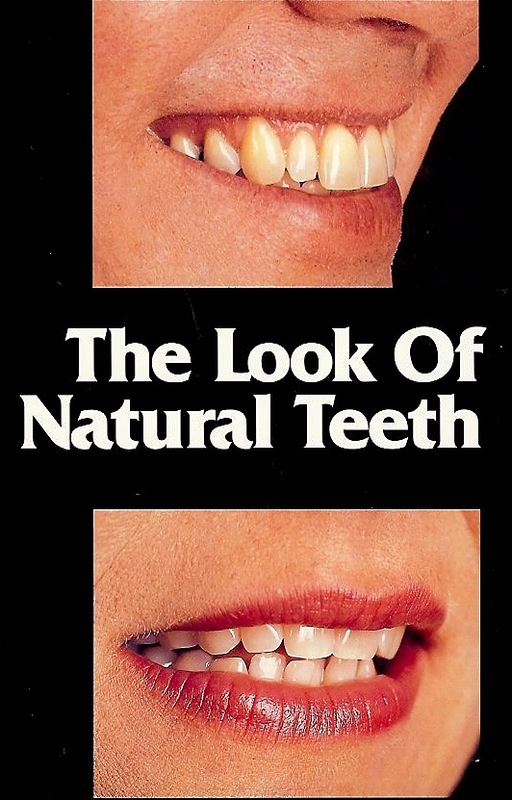 Everybody has gum shrinkage, it's a natural part of life, but it can create an ill fitting denture. 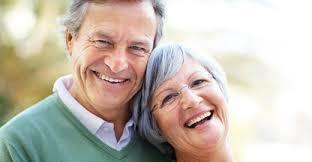 If your denture is in good condition then a reline will make your denture feel like new. Essentially a reline is filling in the gaps between the inside surface of your denture and where your gums have receded. This will create a brand new surface and tighten up the denture to stop it slipping and reduce the possibility of food particles getting underneath. You should be aware that it is possible to develop sore spots or even ulcers after a reline, just as your denture did when it was first inserted. This is because the new surface is firm against gums which haven't had contact for some time. Some adjustments are possible and in conjunction with perseverence the denture will 'bed in' and be good for another 5 years. A remodel is also possible. 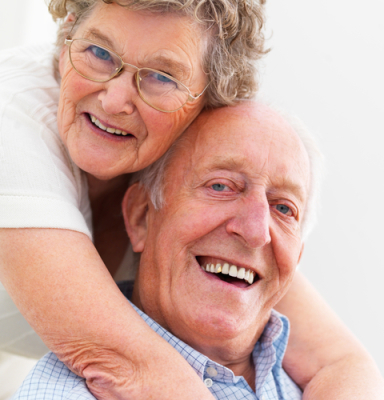 A remodel combines a reline and/or the replacement of damaged teeth from your existing denture. Teeth on your denture can wear down exactly the same as your natural teeth do. They can also chip, move, fall out, or discolour. A remodel can replace these damaged teeth as well as clean and repair any discolouration or damage to the acrylic base. A remodel may also involve addition of teeth to your existing denture because of recent extractions. This isn't always possible but come in and get your denture assessed before your extractions and see whether it is possible to add on. We also regularly work in conjunction with your Dentist to get the tooth added and send the denture with you to the extraction to be fitted immediately after your tooth comes out. Can I get my denture repaired? Yes, in most cases you can. In fact, depending on the problem and the time of day you bring your denture in, your repair may be done in the same day. If you break your denture and lose a piece from it, this may result in you having to set an appointment for impressions to ensure the new piece is added correctly. However if all pieces and teeth are present for the repair, no appointment is necessary, just a drop off of the denture. What's the difference between the mouthguard you make and the chemist? 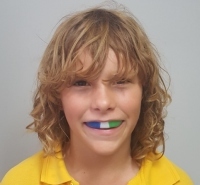 A mouthguard is advisable for any sporting pursuit for all ages. The most important aspect though is that the mouthguard fits properly. The boil and mold version from the chemist is essentially a 'one size fits all' guard. We make a guard that is custom fitted to your mouth, determined by accurate impressions of your teeth and gums which will allow for your mouths muscle attachments. This means the guard is a snug fit which holds its shape and doesn't slip around like the off the shelf version. This is particularly important for growing children from one season to the next. Our custom mouthguards are available in a range of colours and can also be made in multiple colours. An added benefit for patients with Private Health (depending on your premium) is that as a preventative appliance, a large percentage of the price can be covered and some Health companies even pay the full amount every second year or so. I'm told I grind my teeth, can you help? A nightguard is a custom fitted protector to guard against wearing down the surface of your natural teeth due to grinding or clenching your jaw. Traditionally these protectors are called nightguards as they help protect against the involuntary grinding you do in your sleep, but your Dentist may advise you to wear it during the day too. We can manufacture a clear guard which is unobtrusive for wearing during the day and the custom fit means your guard is very snug fitting, which adds confidence for allowing normal speech. There's no need to cancel your travel plans if you need to obtain your first denture, update, or repair your dentures. If your touring plans didn't already include the North West of Victoria on the Murray River, then give us a call and discover the advantages of our Grey Nomad Service. You don't need to wait months for your denture to be finished. We are able to organise mutually agreeable appointments where it is possible to have your denture completed in a few days. In fact, depending on your denture we may be able to fabricate and fit it in a day! If you are on a State or Federal based public denture waiting list, a TAC or DVA patient, we are accredited to complete that work for you, so if your name comes up on the scheme waiting list, there's no need to change your plans, just incorporate your appointments in your touring schedule. If you are a private patient; with or without private health, or have decided to take the private option because of extremely long public waiting lists, ring or email for a quote now to see how much money you'll save by coming to the country.